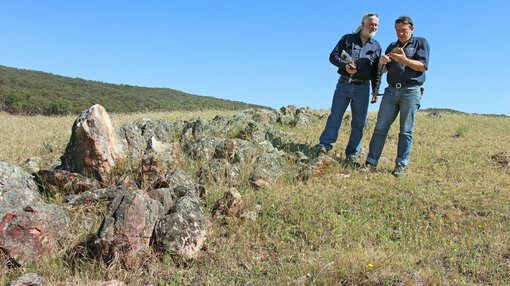 Argent Minerals Limited (ASX:ARD) has achieved a significant new milestone for the Kempfield polymetallic project. ARD reports the successful separation of primary material into potentially marketable commercial grade zinc and lead concentrates that also contain silver and gold. The extraction of zinc and lead into separate concentrates marks a significant advance towards project development, as the company pursues the redefinition of Kempfield as an economically viable polymetallic project with multiple revenue streams at prevailing market prices. Under the project redefinition validated by today’s results, zinc becomes the major contributor to potential revenue, followed by silver, lead and gold. This substantially boosts the economics and de-risks the project. As well as the overall favourable market conditions for zinc producers, the polymetallic project also has significant upside leverage to any future silver price rises. The test results also showed that optimum commercial performance is achievable by a relatively simple process, and that primary grind particle size well within industry peer process plant design practice. ARG’s next steps for metallurgical testing are likely to include variability testing across the various mineralogical domains of the Kempfield deposit. This will require additional samples to be collected. The metallurgical engineer has prescribed a highly cost-efficient method based on collecting samples from reverse circulation (RC) drilling and protecting the samples from oxidation by storage within nitrogen-filled containers prior to freezer storage at the metallurgical laboratory facilities. This method has been determined by the metallurgical engineer as appropriate for the current stage of the Kempfield project, avoiding the need for costly dedicated metallurgical diamond drilling whilst making use of samples obtained for exploration and resource infill drilling. Following its review of the company’s projects, the ARD Board has determined that drilling is to proceed at Kempfield as the top priority. Planning is underway for an initial drilling program, the design of which is guided by the new geological model and the ARD’s internal project economics model that has been updated based on today’s metallurgical results. The drill plan and strategy will be announced separately to the ASX on completion of the design work.